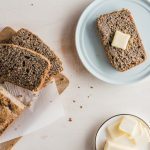 This easy recipe for Buckwheat Quick Bread is tender, delicious, and incredibly versatile. It’s a quick-bread style recipe that’s flavored with rhubarb, lemon, ginger, and cardamom. 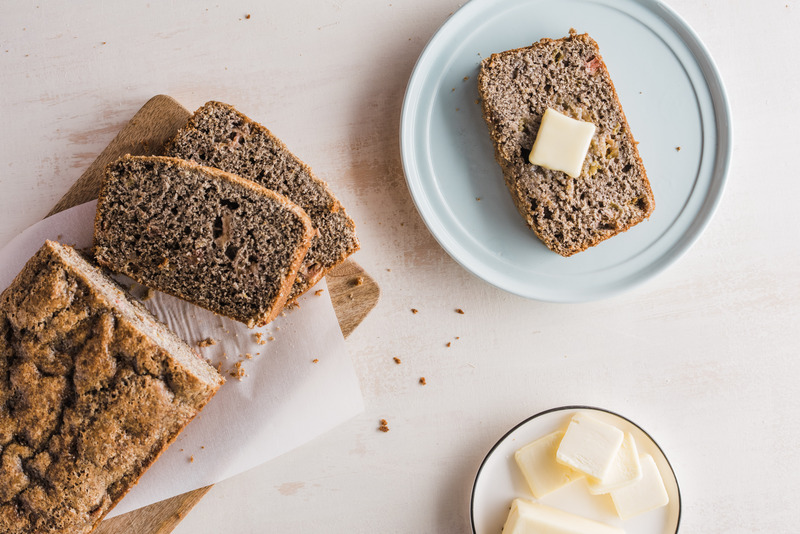 Simply put, this is an unassuming bread that’s bound to surprise you. 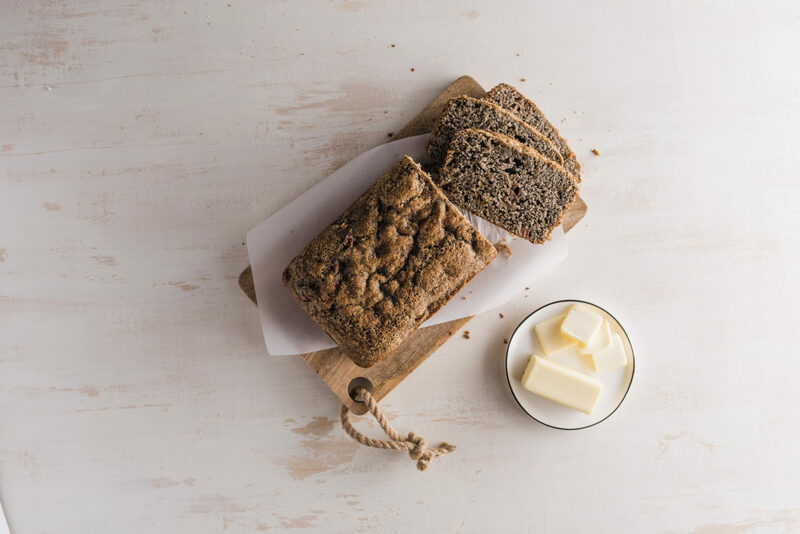 First up, in the four-part Spring Brunch series, is this tender Buckwheat Rhubarb Bread. 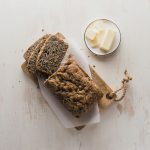 Not only is this buckwheat bread incredibly easy to make, but it also offers a variety of nutrients, thanks to the buckwheat flour, and tons of flavor from fresh rhubarb, lemon, ginger, and cardamom. Pockets of fresh rhubarb, with an almost melt-in-your-mouth texture, keep the bread moist, while the buckwheat flour offers a dose of toasty, nutty flavor. Plus, rhubarb and buckwheat are distant relatives, so you know it has to be good! Aside from being a major crowd pleaser, this bread is also a host pleaser. It can be made up to 2 days in advance and still be tender and moist the day of. Additionally, if rhubarb isn’t your thing, or isn’t in season, you can easily swap it out for your favorite fruit. Raspberries, strawberries, apple, and pear are a few that would work really well, but others would too. 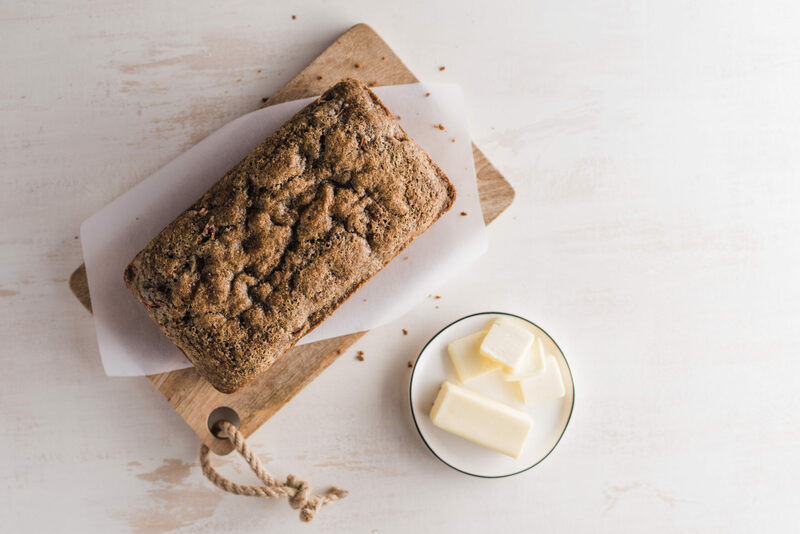 This easy recipe for Buckwheat Rhubarb Bread is tender, delicious, and incredibly versatile. It’s a quick-bread style recipe that’s flavored with rhubarb, lemon, ginger, and cardamom. Heat oven to 350°F. Coat a 9×5-inch loaf pan with nonstick spray. Whisk together buttermilk, butter, eggs, zest, and vanilla. In a large bowl whisk together all purpose flour, sugar, buckwheat flour, baking powder, baking soda, salt, ginger, and cardamom. Add buttermilk mixture to flour mixture and whisk just until combined; fold in rhubarb. Transfer batter to prepared pan and sprinkle with turbinado sugar. Bake until a toothpick inserted in the center comes out clean, 55–65 minutes. Transfer pan to wire rack and let bread cool in pan 10 minutes, then invert, remove bread from pan and cool completely on wire rack. 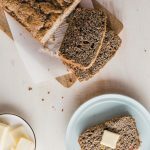 This Buckwheat Rhubarb bread does call for granulated sugar (instead of a natural sweetener like I usually use), but when cooking for a crowd, I sometimes find this to be more appealing to the masses. However, this recipe still works if you replace some, or all, of the 1 cup sugar with ground sucanat or ground coconut sugar (just be sure to grind it in a spice grinder before using). See how I use sucanat here. This is just the beginning of a fun, elegant, and very delicious Spring Brunch Menu that will be unfolding throughout the week. So, hang around for the next few days to pick up the recipes for the rest of the menu. Then invite some friends over, get cooking, and enjoy the season with these can’t-miss recipes! I collaborated on this project with photographer Austin Day and stylist Lauren Day. Check out their websites for more of their amazing work! Hi Becca, thanks! Yea, super easy to make vegan! This looks so good! I need to get me some rhubarb asap! Thanks Brittany! It’s so easy!